At DistribuTECH, it was all about real-time demand response applications. When the OpenADR Alliance rolled out its second-generation communication standard protocol, the organization figured that three types would meet the needs of the industry. As it turned out, the industry mostly just wants one. The OpenADR 2.0 standard, which is a communications protocol for automated demand response, was initially set to be released in three versions: OpenADR 2.0a, 2.0b, and 2.0c. The first two are published, and products using them can be certified as compliant. But after issuing 2.0a, the organization found that “utilities mostly wanted 2.0b,” said Barry Haaser, managing director of the OpenADR Alliance. The first protocol was designed for simpler devices, such as residential thermostats, but utilities preferred the expanded functionality of 2.0b, which allows for enhanced event and price scheduling and more robust, real-time reporting. The acceptance of OpenADR 2.0b shows the evolution of demand response in recent years, as it has moved toward becoming a more sophisticated, real-time operation, though it is still far from the 24-7 demand management some envision. 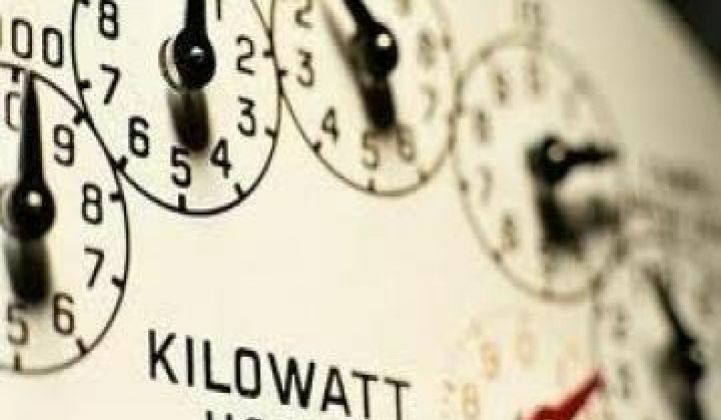 When 2.0b was issued last summer, many of the major players in demand response announced that they had compliant products, including EnerNOC, Honeywell, Hitachi, IPKeys, Fujitsu and AutoGrid. At DistribuTECH 2014 in San Antonio, Haaser said 33 products have been certified for OpenADR 2.0b. The next step, which was always more of a long-term play, was 2.0c. But for the time being, the third protocol has been shelved. “It’s just a placeholder now,” said Haaser. The obstacles are not technical, but rather market-driven. For ISOs and utilities that want to leverage the standard, 2.0b seems to offer all of the functionality they need. That could change in the future as demand-side management grows increasingly sophisticated, said Haaser. He pointed to transactive energy, which is still in its early days, as a domain that could eventually require a more sophisticated standard than 2.0b. Most of the certified products have been developed to allow buildings to automatically shed kilowatts on demand upon receiving the standardized signal. The advantage of automated demand response is that utilities and customers can receive real-time information about how much load is being shed. At DistribuTECH, Comverge and EnerNOC both announced the release of new products that offer utilities more options for getting real-time information from existing demand response assets. In Japan, where many buildings and the electrical grid as a whole are already far more highly automated than those in the U.S., OpenADR is quickly emerging as the standard of choice for the burgeoning demand response market. The Alliance has fifteen members in Japan and is running some test projects with Waseda University for Japan’s Ministry of Economy, Trade and Industry. Many of the U.S.-based companies that are rolling out OpenADR 2.0b-certified projects have teamed up with Japanese counterparts to develop demand response offerings. Along with domestic Japanese companies, EnerNOC, Comverge, Schneider Electric, IBM Japan, AutoGrid and others are all involved in various projects in 2014. Some members of the OpenADR Alliance had previously questioned how much the standard could move the industry forward. But at least in Japan, the automated communications standard is helping to move the market forward faster than it otherwise might have. Japan is not the only region exploring OpenADR. Other Asian countries, such as Korea, Taiwan and China, have shown some interest, and Haaser said there are also downloads across Europe. In the U.S., OpenADR is now being used far beyond California, where it was developed and first adopted. Not only is the platform being used by utilities across the country, but it is also sending signals to more than just buildings. OpenADR 2.0b is also being used by Greenlots for its SKY smart charging platform for electric vehicles. The concept of leveraging electric vehicles for grid services is still in its early phases of development, but there are pilots underway in PJM and ERCOT. It’s not just vehicles and commercial buildings that are increasingly relying on real-time demand response. At this year’s DistribuTECH, residential demand response also had new offerings that allow for real-time visibility and automated controls.